Teaching can be so lonely sometimes so I wanted to create an online teacher lounge where all the language teachers can hang out. 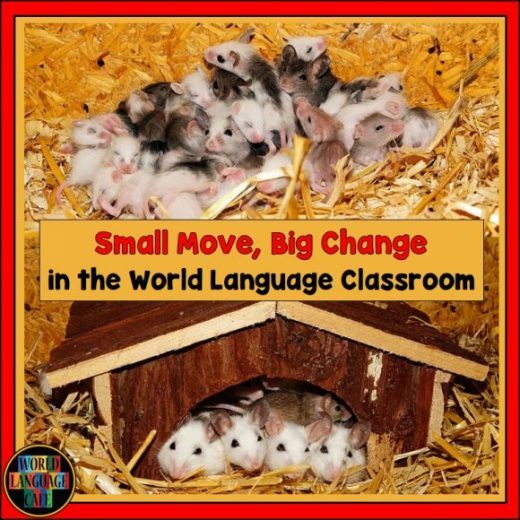 We’ll be sharing the up’s and down’s of teaching, as well as peeking into the lives of some of our World Language teacher friends. 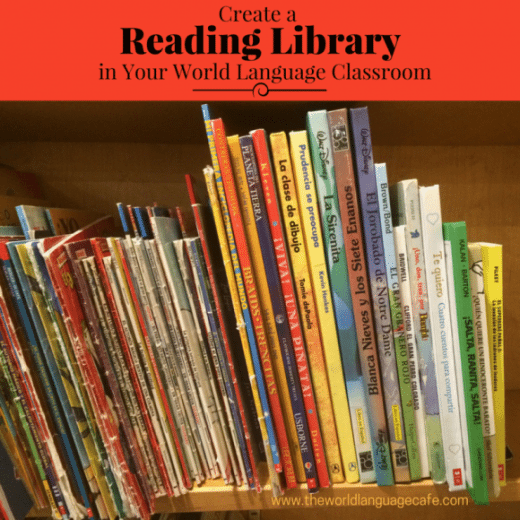 Hope you’ll join our World Language Cafe Facebook Group. The more, the merrier! 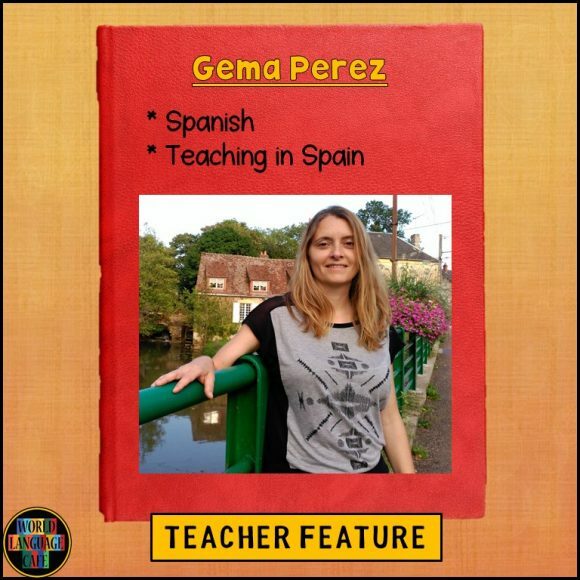 To help create a sense of community in our group, we’ll be featuring teacher profiles and stories. I love hearing other teachers’ stories, don’t you? I was teaching dual immersion in Utah for a couple of AMAZING years and after that I came back to Spain to the same school as before. I have been a teacher for 18 years… almost 19 but I’m pretty young!! I’m only 40. Elementary…Changing grades lately: Last year I was in 2nd, this coming year I will be in 1st… Who knows next year … I teach every subject (Spanish, English, math, art, science…). You know that all beginnings are hard… moreover when you are with little kids… I remember one time I was in 1st grade and we spent almost all morning working on a water cycle project. We were working in groups. Each group had a different technique. At the end of the day the principal came to my class and asked one of the students what have they been doing all day and the student answered.. NOTHING!! WE WERE PLAYING ALL DAY!!!! My face was as RED as a tomato!! After that I explained the project to the principal and he told me he was glad that children were learning while playing! There are a lot of great moments but one of the most exciting ones is the first time you see the face of a student who understands what he/she is reading… This wonderful face whose eyes talk to you saying … I CAN UNDERSTAND WHAT THE SENTENCE SAYS!!! I CAN READ A STORY BY MYSELF!! Use brain breaks and engaging activities that allow students to stand up during the day… They need movement and they learn more if they don’t have to focus during a long explanation sitting in the same place the whole day. I also love learning, studying and improving everyday. For that I started blogging and sharing what I find. I started socializing with my fake name FUN MONKEY BARS on some of the best known social media but I don’t let that be my priority. FAMILY AND FRIENDS are the most important in life! * If you’re interested in being featured, fill out this Google Doc.